Beans, they get a bad rap. Think about it, that whole song you’ve been hearing sung on the playground since you were a little kid basically says stay away from beans unless you want a case of nasty gas. On top of that, we’ve got a passionate Keto following that despises beans…even leaving them out of their chili (gasp!). If you sing the popular playground song all the way through, you’ll remember that the moral of the story was that beans make you feel GOOD! Do you want to know why? Because they are full of fiber, chock full of protein, supply copious amounts of vitamins and minerals (including iron) and are delicious. These tiny packages are filled with amazing health benefits. See what the Keto community is missing out on? I recently read a quote on NutritionFacts.org that said “a cup of daily beans, chickpeas, or lentils for three months may slow resting heart rate as much as exercising for 250 hours on a treadmill.” My jaw nearly hit the floor. Staggering statistics that circle back to my belief that we can help heal and protect our bodies with our diets. Legumes, which include beans, chickpeas, lentils, split peas, green peas and peanuts, are a plant food group but rest assured are not just for vegetarians. Legumes are high in dietary fiber which helps to keep you “regular” and are a good source of soluble fiber which can help to lower cholesterol. Yes, they are considered a carb which is why your friends following the Keto diet have banned them. But, they are a carbohydrate with a low glycemic index which means that they make you feel fuller longer because they are broken down more slowly. A win in my book! Legumes are a great source of protein which makes them an excellent replacement for meat (especially for vegetarians and vegans). They are a good source of vitamins B, iron, calcium, zinc, and magnesium. They are a wonderful source of folate, which is particularly important for women of child-bearing age, and they are low in saturated fat. See? They really are magical! 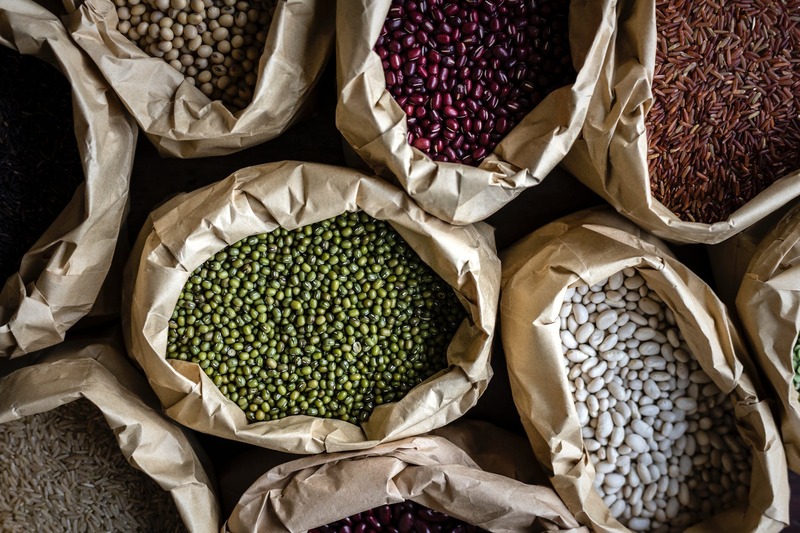 Including any of the above legumes into your daily diet isn’t hard. 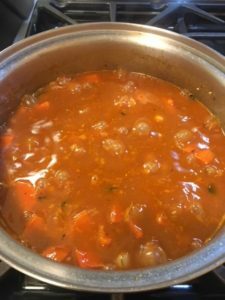 Weekly, I make a homemade bean stew for my family. The stew is incredibly delicious, healthy, fast, and super cheap. Even my boys love it. To make adding beans to your diet even easier, try using canned beans! My only note when using beans from a can is to always rinse them first! This will remove 40% of the sodium from the beans or simply buy beans with a label that reads ‘Salt Free’. The unnecessary sodium will only bloat you and defeat the purpose of cooking with these super healthy ingredients. 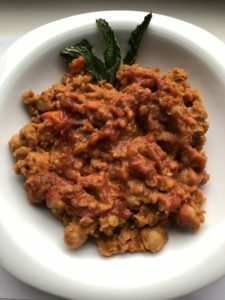 Before I share my favorite bean stew recipe with you, here are a few ways you can start adding legumes into your daily routine. Salads: Bulk up your salads with chickpeas or kidney beans. You’ll add flavor and feel full longer. Chili: Prepare a homemade chili at home with all your favorite beans, with or without meat! Snacks: Choose hummus with veggie sticks or chicknuts (oven roasted chickpeas) for a snack between meals. Soups: Add lentils to your homemade soups for so much added nutritional value. Casseroles and Lasagnas: Kidney beans and soybeans are a great way to “beef” up any main course. In other great news, legumes are easily found in almost any supermarket and cheap! Eating healthy doesn’t always have to be expensive!! Remember that the bottom line here is that legumes are healthy. Don’t be afraid to cook with them and certainly don’t be afraid to eat them. Healthy, delicious, and well….magical. Sauté onion until brown – it takes about 8 minutes. Add the carrots and sauté with onions for a few minutes. Add water and all remaining spices and ingredients and simmer on medium/low heat for 40 minutes. Add more water of you think the stew is becoming too thick. Serve with lemon and or nutritional yeast and Parmesan sprinkled on top!